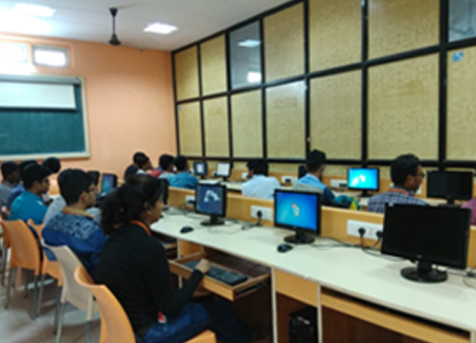 The Department of IT conducted three training sessions on Virtual Labs of Computer Science and Engineering disciplines for their Students. • Between July 4 and 11, 2017, 62 TY Students, divided into 5 batches. 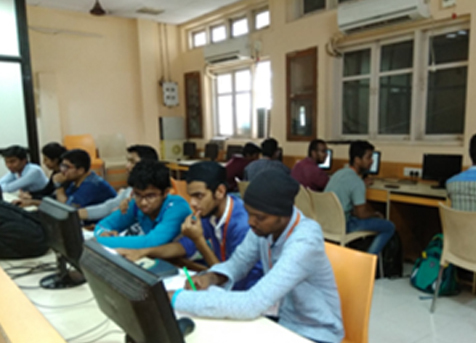 Each batch, in a session of 1-hour duration, performed various experiments in Cryptography lab such asBreaking the Shift Cipher, Breaking the Mono-Alphabetic Substitution Cipher, one time pad and perfect secrecy, message authentication codes, cryptographic hash function and Application, symmetric key encryption standard(DES), symmetric key encryption standard(AES), Diffie Hellman Key Establishment, public key cryptosystem, Digital Signatures, were studied. 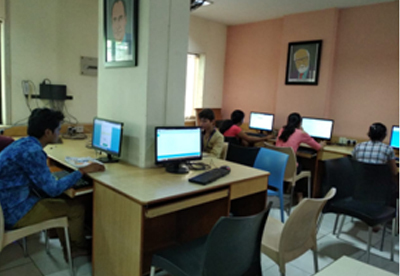 • Between July 5 and 8, 2017, 130 SY Students, divided into 6 batches.Each batch, in a session of 1-hour duration, performed various experiments available Data Structures (Number Systems, Sorting using Array, Search Trees, Expression Trees, Shortest Path in Graphs, Minimum Spanning Trees), Computer graphics (translation), Problem Solving (Numerical Representation, Beauty of numbers, Calculating factorial, String Operations), and Computer Programming Lab (Numerical Approximation, Functions, Advance Control Flow, Array, Structure, Basic Control Flow, Strings, Pointer, Recursion, and Expression Evaluation) were performed. Students attempted quizzes, solved sums, and viewed animations related to the above experiments. • Between December 11 and 16, 2017, 92 FY Students were divided into 6 batches. 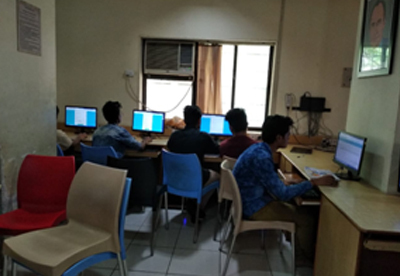 Each batch, in a session of 1-hour duration, performed various experiments inComputer Programming Lab (Numerical Approximation, Functions, Advance Control Flow, Array, Structure, Basic Control Flow, Strings, Pointer, Recursion, and Expression Evaluation) were performed. Students attempted quizzes, solved sums, and viewed animations related to the above experiments. 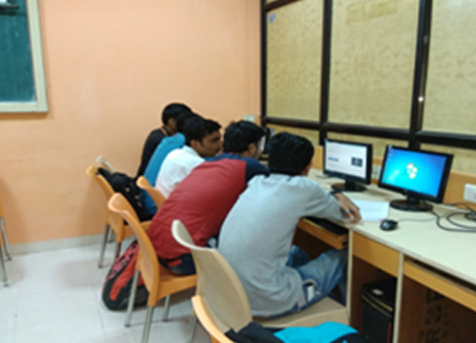 Students got the chance to have hands-on animation of concepts they study in class room. 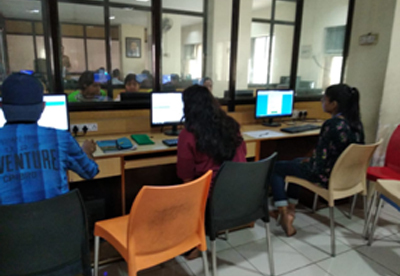 • On August 4, 2018, the inaugural session for the activities using Virtual Labs in the year 2018-19 was conducted.Patkar-Varde College is a Virtual Lab Nodal Centre of IIT-Bombay. 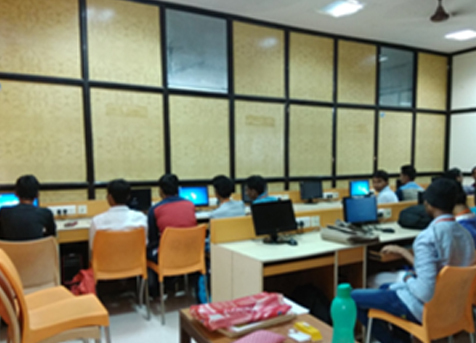 In a five-hour session on Virtual Labs for FYBSc (IT) Students such experiments as Data Structure, Factorial, and Electronic Structure from the Computer Programming, Problem-solving, and Electronics Labs were performed. 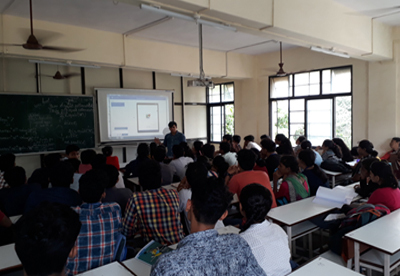 On June 29, 2018, the TY Students of the Department attended a session on Project Demonstration, which gave them an overview of the process involved in designing and developing academic projects. What was interesting about this session was that the resource persons for the training were Students of the previous year, who used their own projects to demonstrate concepts. They shared the methodologies adopted to find project topics, the activities involved and their experiences in developing the project. They discussed the difference between hardware and software, that is, desktop-based applications and web-based applications. 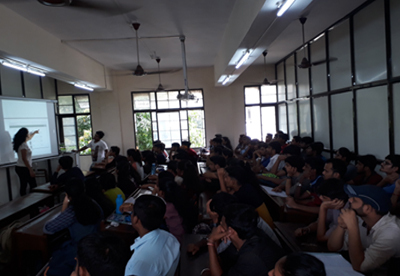 In addition, they explained to Students the importance of selecting the technologies, tools and implementation of validations, testing in the project, and mentioned the problems encountered in various phases and the possible solutions. 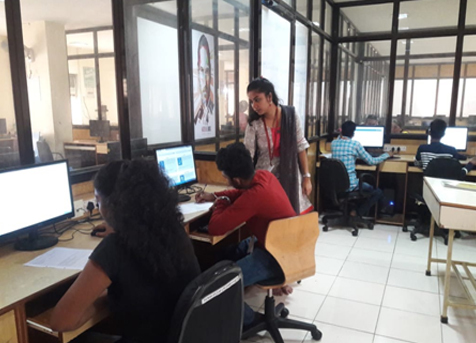 They placed emphasis on project documentation and resolvedthe queries of the Students regarding their respective project ideas. Finally, they shared tips on the preparation required for the project vivas. They shared tips on how to prepare for the final project viva.